When investing in the income-producing real estate business, there are many ratios and other measures used to evaluate a real estate investment. The most important measure is the CAP rate of an investment. There are two key decisions that CAP rate can drive, one at the start of an investment and one at the end. First, let’s look at how a CAP rate is calculated, then how it can be useful to a real estate investor. 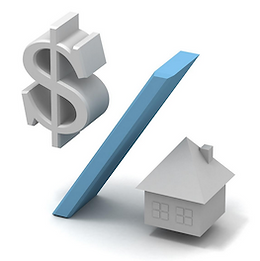 The CAP rate is an approximation of cash flow as a percentage of market value of the real estate. The formula is operating income/market value. A property with operating income of $40,000 and a market value of $1,000,000 would have a CAP rate of 4%. Let’s look at a real-world example. Property A has $72K in gross rents with $19.7K in expenses, NOT including mortgage payments. The difference is $52.2K in operating income or Net Operating Income (NOI). If the property was purchased for $1.5M, the CAP rate is $3.48%. • If the CAP rate is less than the interest rate, borrow as little as possible. • If the CAP rate is more than the interest rate, cash-on-cash returns increase the more you borrow. Current mortgage rates are low, but probably higher than the 3.48% of Property A. So if the property were worth investing in, you would want a higher down payment…perhaps as much as 50%…to make sure this investment had proper cash flow. CAP rates are also useful when considering a 1031 exchange. We advocate exchanging into properties with a higher CAP rate than the property given up. So if you sell at a 3.48% CAP, you want to look for something with a HIGHER CAP rate. Usually, that means a property, or seller, that is more distressed than the one that was sold. Purchasing a higher CAP property will ultimately provide a better result for the investor. Like all tools, the CAP rate is only one measurement and should not be relied upon exclusively. It is valuable, but it can lead you astray if you ignore other factors. But understanding CAP rate and using it properly can help to determine the long-term chances of success with any real estate investment.